RA Power Solutions Pvt. Ltd. a world class engineering company supplying a wide range of high precision fully machined components and diesel engine parts and assemblies to OEMs across the globe. We are offering our clients, a wide range of spare parts according to original specifications and, if necessary, with class certificates. We can deliver round the clock if required on an urgent basis and also have computerized order processing facility as well. Along with our spare parts, we have expertise in carrying freight and custom formalities as well. 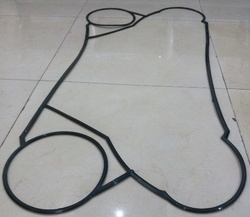 Our spare parts can be provided to our clients in customized sizes and specifications as per their requirements. RA Power Solutions supply second hand reconditioned cylinder heads for all makes and models of high capacity diesel engine. 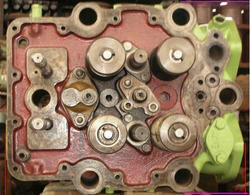 Cylinder heads are refurbished tested for cracks and pressure. All cylinder heads are supplied on competitive rates with guarantee. We can also supply new cylinder heads imported from Europe leading manufacturers. We supply cylinder heads of MAN-B&W, Sulzer, Wartsila, Mak, Deutz, Pielstick, Mitsubishi, Nohab, Daihatsu, Yanmar, Bergen, Crepelle, Niigata, Himsen, Allen, Stork, MWM, Hanshin, Caterpillar, Ruston, Paxman, Mirrlees, Alco, Fiat, ABC, Crepelle, SKL , etc. 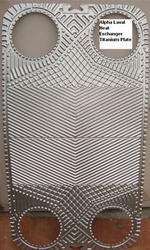 We deal in heat exchanger plates of titanium and steel. The (PHE) plate heat exchangers are sourced from ship breaking yard and checked for quality, thickness, pinholes, etc. The titanium and steel plates for PHE are exported all over the world. Most of the titanium and steel plates are available in stock. We deal in are titanium and steel plates of ALFA LAVAL, GEA-ECOFLEX, SWEP, APV, SONDEX, TRANTER, FISCHER, SCHMIDT, FUNKE, etc. 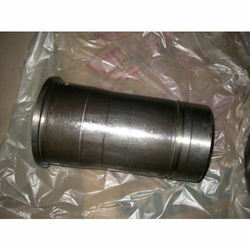 We offer Cylinder Liners. 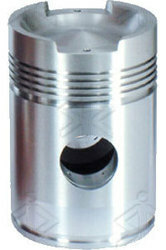 In case of cylinder liners we rectify the ovality, scuffing and micro seizure. Increases life of cylinder liners & piston rings. Very fine surface finish is achieved. Liner seating area grinding in Engine Block. We are offering 6 MW Cracked Engine Block Service to our highly valued clients. Preformed locks of high tensile alloy are inserted in to the slot. These locks are peened into the slots, one on top of the other, to a depth limited by the casting thickness and determined by the strength required. Our services are easily available at a very low market prices. Our firm is offering Metal Locking Of Cylinder Head Service to our highly valued clients. The solutions are arrived at after a careful analysis and then applying our experience to make a proper, dependable repair by on site Metal Locking Process. The quality and craftsmanship thus achieved have earned for us the recommendation and endorsement of equipment manufacturers, insurance underwriters and inspection services.